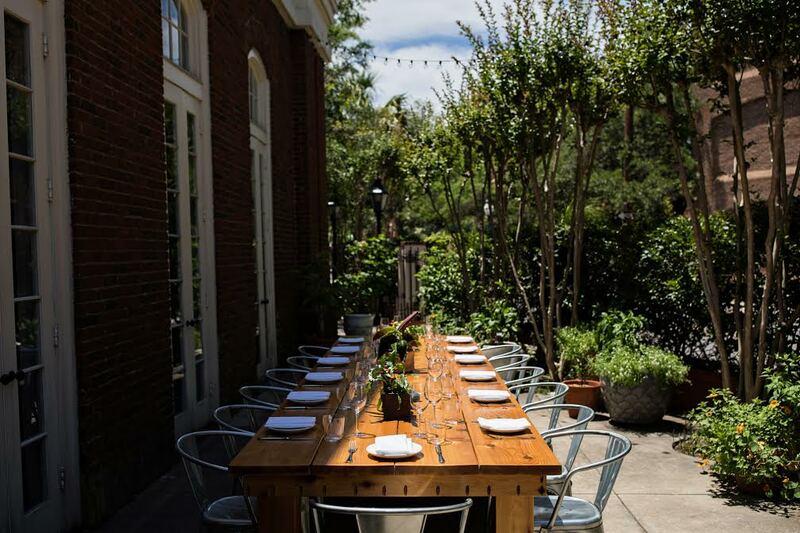 The porch at boutique hotel Zero George, home of the Zero Restaurant & Bar. 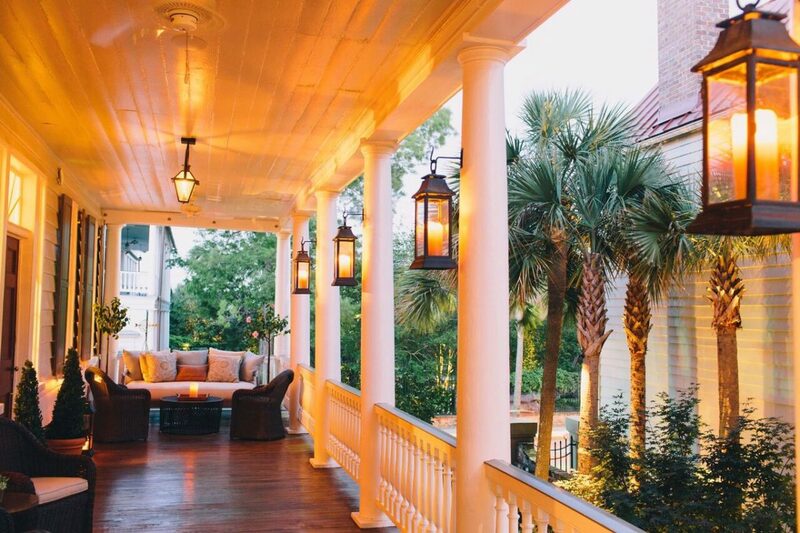 Charleston is a city that knows how to celebrate the everyday, and do it with plenty of characteristic southern charm. Its humid climate encourages lazy afternoons spent sipping chilled mint juleps and frosty glasses of frozé. Happy hours here seem to last all day, and rooftops overflow with sun-kissed day drinkers in oversized hats. 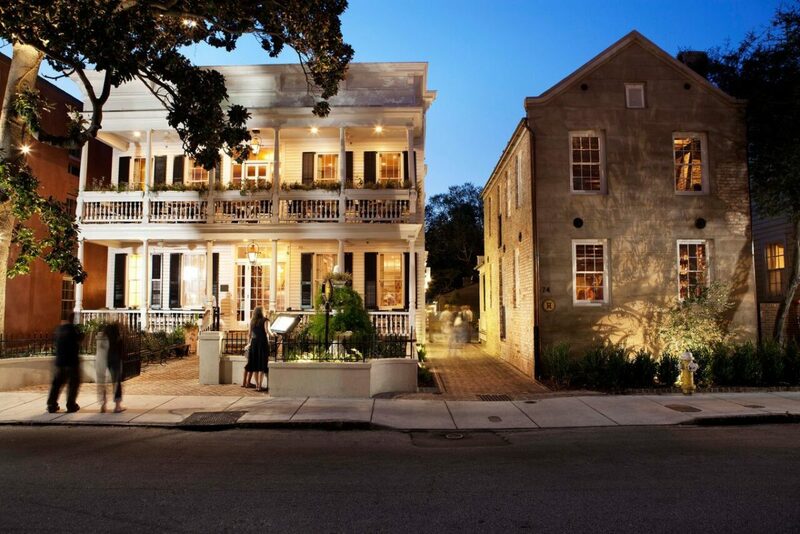 From clandestine champagne bars, vintage Italian wine offerings, a Parisian-style apartment-turned-cocktail bar and taps with endless craft beer, these are the top spots for a boozy bar-hop in Charleston. The Zero George hotel is as beautiful as it is delicious. But even if you don’t splurge on the nine course tasting menu or five star room, the farm-to-bar cocktail service will give you a taste of the good life. Try their Jungle Boogie with pineapple-infused rum. 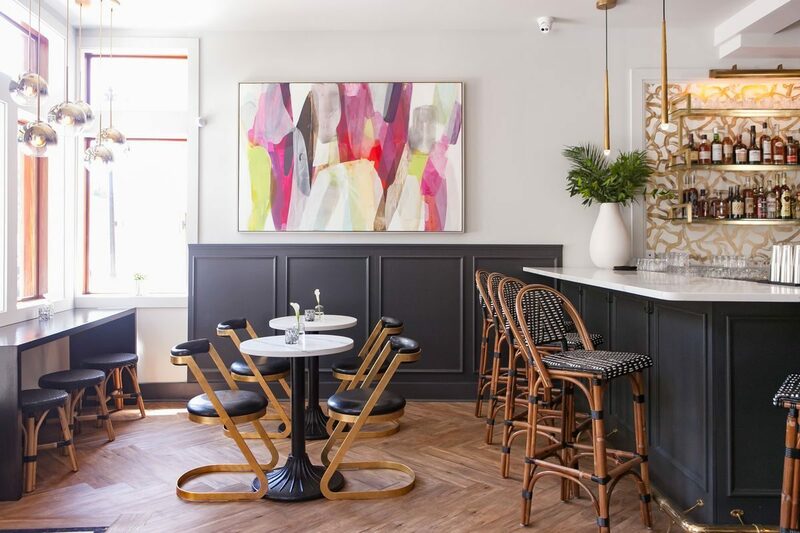 This wine bar opened in August 2018, and is already making waves in the Charleston food scene. The menu is flawless but the interior decor, modeled after a Parisian apartment, encourages one to linger whether you come for a meal or just a drink. The extensive wine list is comprised of mostly French wines, and their cocktail menu includes some noteworthy inventions, like the Peach Bourbon Blackberry Smash. Husband and wife team Caitlin and Michael Toscano are veterans of some of the best Italian restaurants in New York (Babbo, Per Se, Del Posto)—so you can expect great food, but it’s their aperitivo hour in the sprawling, twinkle-lit garden that is extra special. Pair your well-priced drink with their delicious muffuletta. If you’re a beer drinker, this is your mecca. 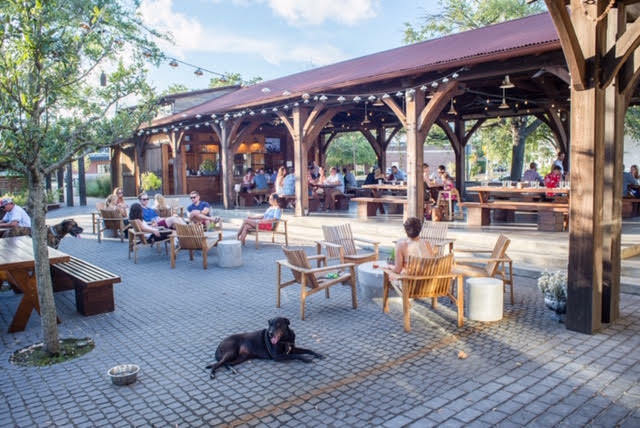 With a seemingly endless supply of brews on tap, you may want to try some of their equally elevated pub fair while you make your way down the bar Or, simply grab your friends and snag a spot in the outdoor beer garden to watch the sun go down. Feeling fancy? Whether you’re celebrating an engagement, a birthday, or a Saturday night, the brand new Tradd’s Champagne Bar is a little bit secretive, a little bit decadent and every bit worth it. 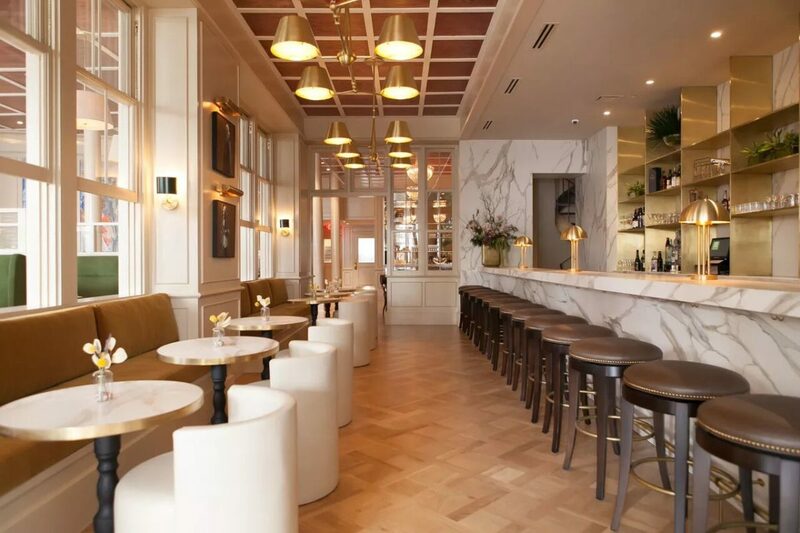 Tucked away behind the main restaurant you’ll find cozy velveteen booths and slick marble countertops, where you can savor caviar, oysters, and plenty of other fresh treats alongside your bubbles. If you can’t get a reservation at this award-winning dining destination, try the bar next door. 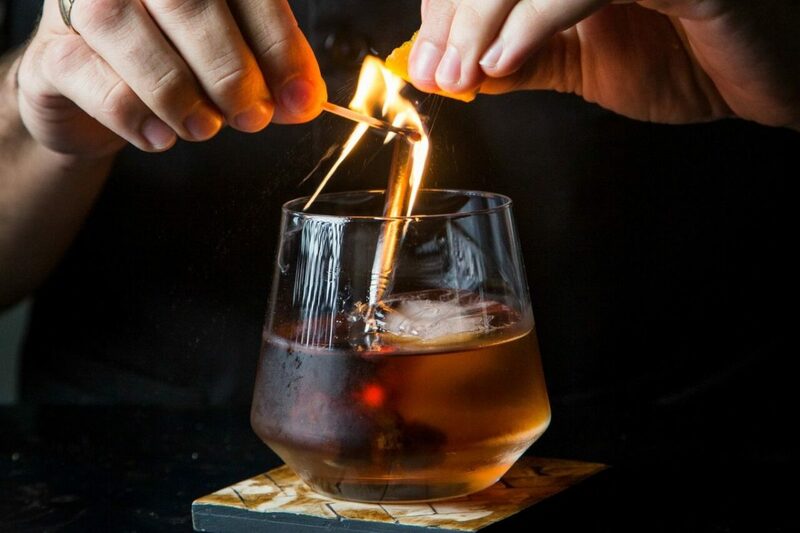 They serve a (different) full menu, and an equally thoughtful assortment of craft cocktails, local beers, and a rotating wine list. The brick garden is perfect in the temperate months, and the dark wood interior offers a break from summer’s blistering heat. 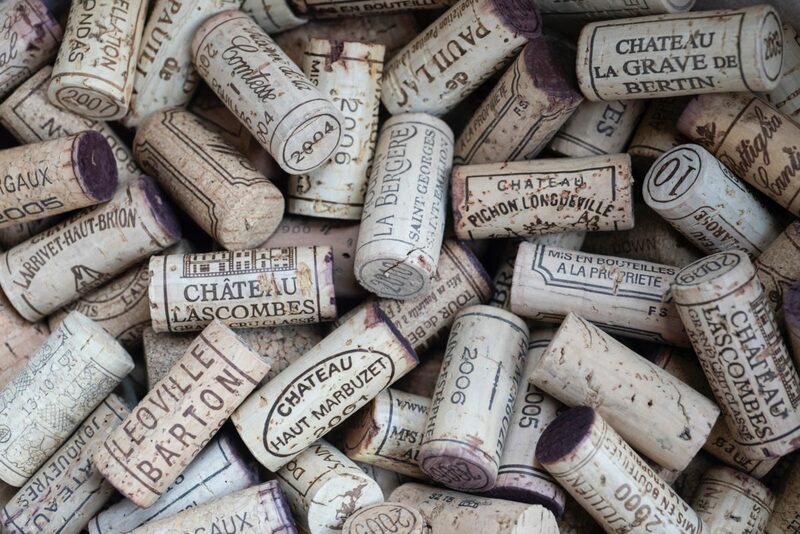 You’ll find over 150 Italian varieties on tap for tasting your way through Italy’s finest wine selection. Specializing in rare bottles, Rudi himself is a Bologna-born connoisseur with an accent as thick as his beard and a personality as big as his stature. Say the word and he’ll saber a bottle of champagne for you on a Tuesday with the enthusiasm of a wedding celebration. If you're lucky, you'll catch a local musician playing a set in the garden during your visit.